Get organised with this eco friendly Barn Owl stationery set. 2 note pads; 3 pens & 3 pencils, all with lovely Barn Owl pics! 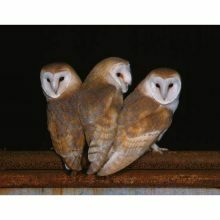 3 Barn Owl Trust clickable ball point pens. Made from 70% biodegradable corn plastic. 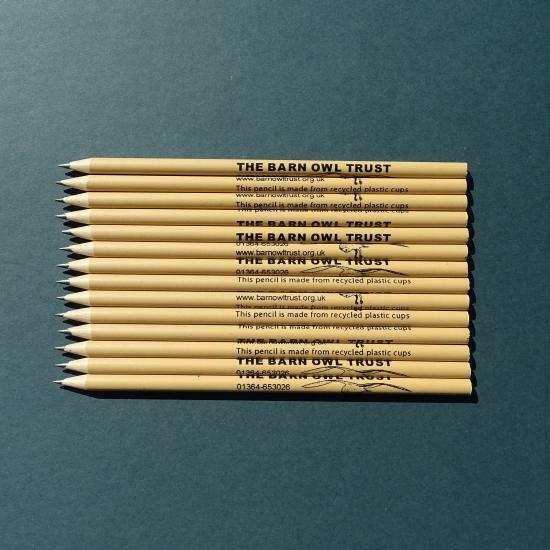 3 Barn Owl Trust pencils. Made from recycled plastic cups. Recycled paper. 10 x 15cm / 50 sheets approx. 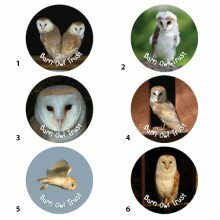 Save £1 – and help save Barn Owls! 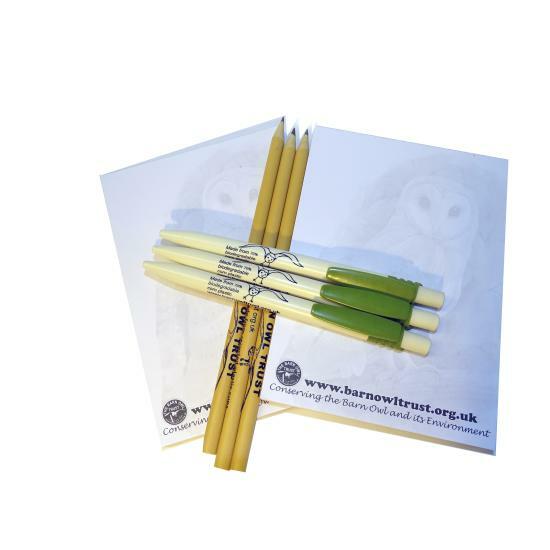 Get organised with this unique, environmentally friendly Barn Owl Trust stationery set. 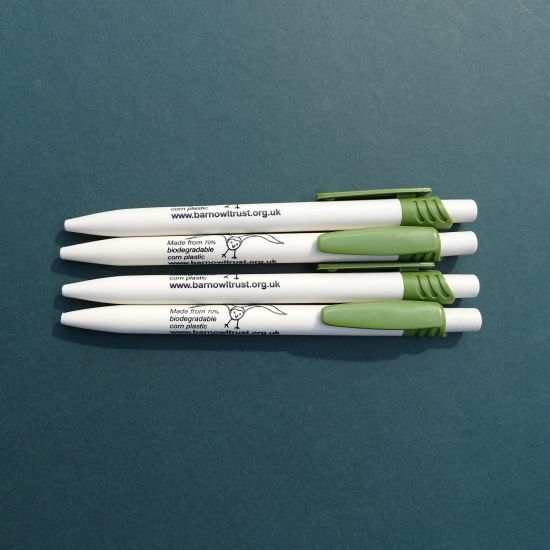 A great little pack of useful writing essentials for school, college or your home office. Eco stationery pack contains 2 note pads; 3 pens and 3 pencils all embellished with lovely Barn Owl motifs. 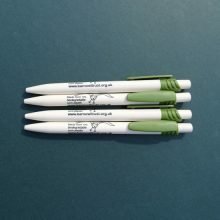 3 Barn Owl Trust pens made from 70% biodegradable corn plastic with flying owl motif and the Barn Owl Trust web address. Green pocket clip and white barrel with black motif and text. 3 Barn Owl Trust pencils made from recycled plastic cups. Earth brown with Barn Owl design. 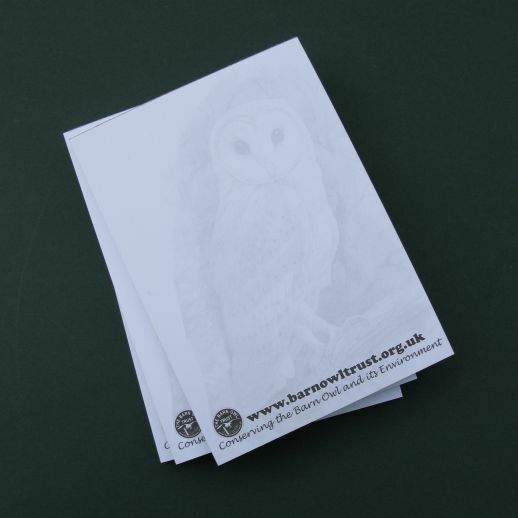 2 Barn Owl notebooks: 50 sheets (approx), printed on recycled paper with card backing. Thoughtfully sourced eco friendly items. 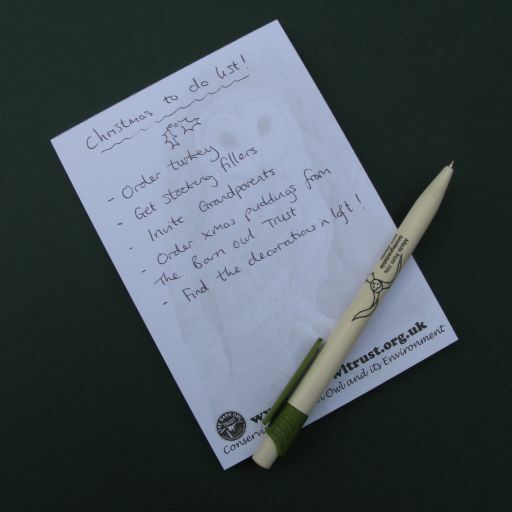 A lovely little earth friendly gift for your favourite student or family list maker! 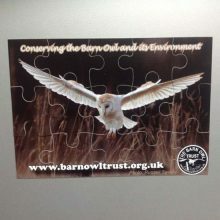 Direct from the Barn Owl Trust – all profits help Barn Owl conservation.